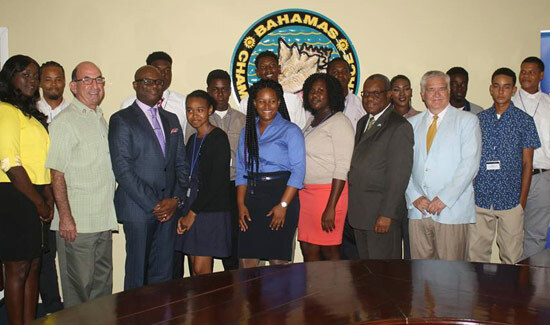 The Bahamas Chamber of Commerce and Employers Confederation (BCCEC) in partnership with Rotary clubs of The Bahamas recently awarded each of the 15 students with $1,000 scholarships. The recipients represent Long Island Acklins, Crooked Island, Inagua and San Salvador, with eight hailing from Long Island alone. 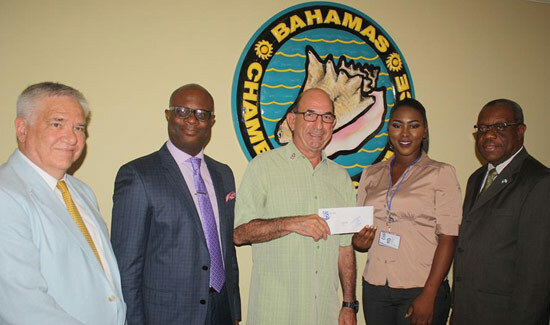 Chairman of the Disaster Relief Committee of Rotary Bahamas, Peter Goudie, encouraged the recipients to take the skills they will learn and contribute to their respective islands. 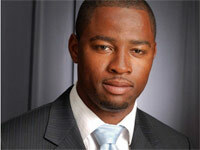 “We want you to go back, establish your own businesses and help your own people,” said Mr. Goudie. This was reiterated by the chamber’s Chief Executive Officer, Edison Sumner, who said it is expected that the students would return to their islands and help build the economies. One year ago, the category four hurricane unleashed its fury upon the central and southern Bahamas, destroying homes, toppling buildings and leaving severe flooding in its wake. 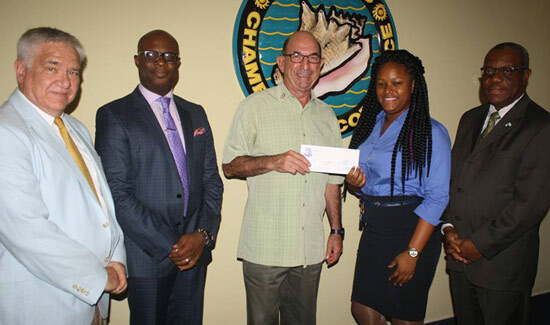 2016 graduate of the Inagua All Age School, Jasmine Pyfrom, considers herself to be one of the “fortunate students” to be awarded the scholarships. “I am grateful because many of us may not have been able to continue our education beyond high school,” said the young woman. On behalf of fellow recipients, Jasmine committed to using the skills they will attain, to assist their home towns. “Thanks for not just giving us a fish, but making it possible for us to learn how to fish,” she stated. Meanwhile, BTVI’s chairman and Rotary’s Immediate Past District 7020 Governor, Felix Stubbs, encouraged the students to take full advantage of the opportunity presented to them. 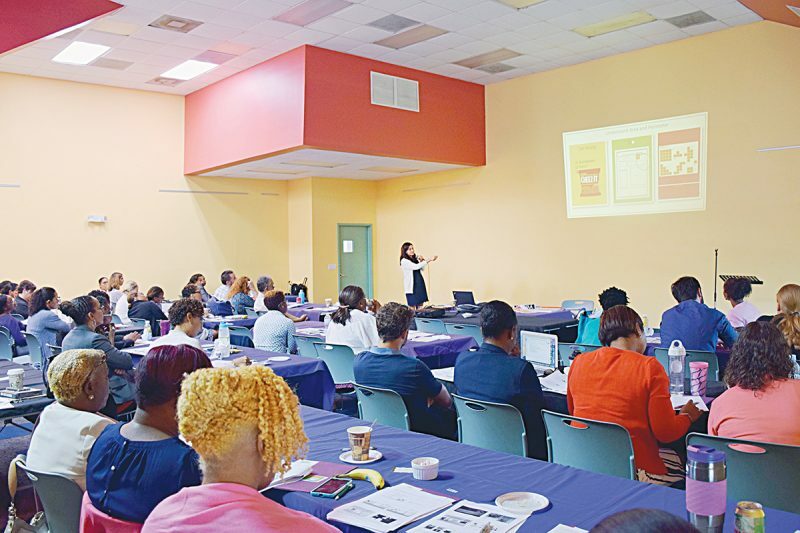 “You have an obligation to share your success, particularly in the islands you represent. You are ambassadors of what good collaboration can be” he said. 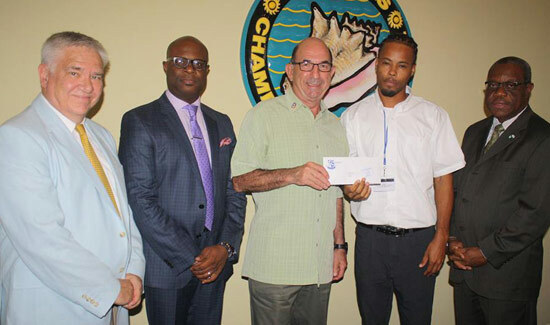 BTVI’s president, Dr. Robert W. Robertson, thanked Rotary and the chamber, stating that the effort is a shining example of their strong commitment to education, as the students’ continuation of higher education was threatened by Joaquin. 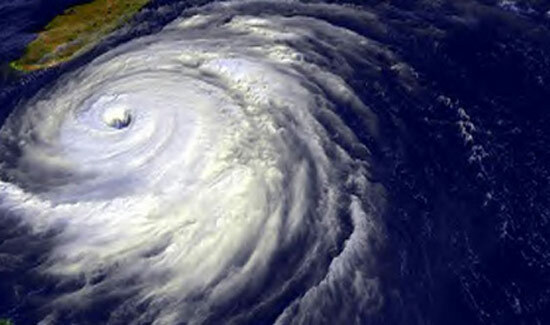 “We recognize that the devastation caused by hurricane Joaquin has had serious financial implications for thousands of citizens, resulting in monies having to be redirected for rebuilding purposes. 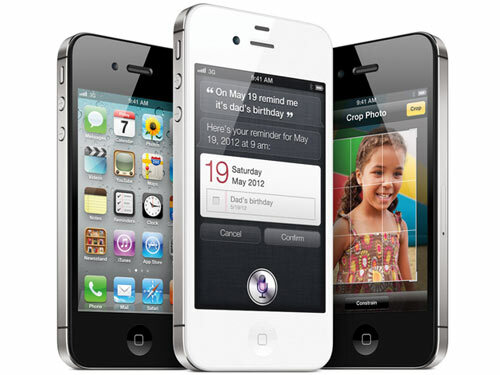 Therefore, this collaboration will alleviate some of the financial hardship incurred. 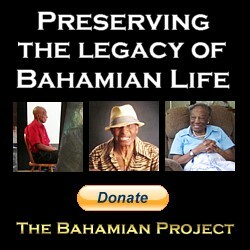 Truly, today is a shining example that beauty can rise from the ashes,” said Dr. Robertson.